NaNoWriMo produces young novelist workbooks for primary- and middle-school students full of activities to help jump-start the writing process, from worksheets designed to help students determine what the books they love have in common, to outlining their main character. You can find them for free here. Join your students in writing a long-form piece of your own. Regularly sharing updates and experiences from your own experience will help reinforce that there is value in the process, and that the end product is something that writers of all levels can aim for. You could also share a piece of writing you’ve previously worked on, but the result is the same–treating your students as peers in the writing process. Structure a lesson around just the opening chapter. Laura Bradley of The Daily Agenda has offered her presentation on first chapters for use by other teachers–you can find it here. Teach the use of sentences of different lengths. In a long piece of writing, it’s particularly important that children mix up the use of longer and shorter sentences to find a readable rhythm. You can start by sharing this example of varied sentence lengths, and then have a discussion centred around the talking points listed here, to encourage them to mix up their sentence structures. Make this one of the things students look for in their peer critiques. 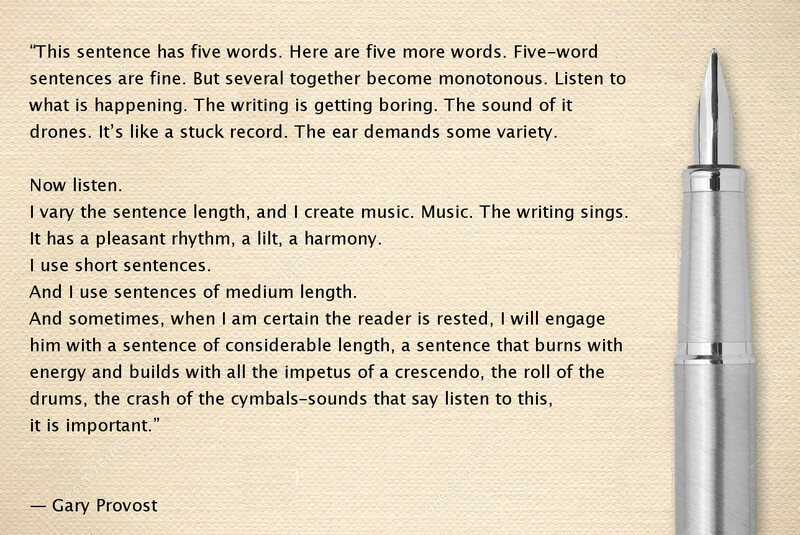 Have you tried teaching long-form writing in your class? What advice would you offer another teacher doing the same? Let us know on Facebook, and we could share your tips in an upcoming post!